A mile from Keswick, with spectacular lake views over Derwentwater, the Derwent Lodge Hotel combines modern facilities and old-world charm. The hotel has a restaurant, bar and terrace. A traditional Georgian manor house, the lodge was built in 1780 and has been renovated to provide 21st century facilities, including free Wi-Fi. The en suite rooms have luxurious furnishings and flat-screen TVs. Most rooms have views of the lake and the fells. The restaurant's menu of home-cooked food changes daily. The lounge bar offers light meals and afternoon tea is also available. Derwent Lodge is just over a mile from Keswick town centre, which boasts the Cars of the Stars and Pencil museums among its attractions, and 2 minutes' walk from Derwentwater Marina which offers a range of water sports. In the centre of Keswick, the George Hotel is the town's oldest coaching inn. It offers comfortable en suite accommodation and a welcoming bar and a full English breakfast is served every day. All the rooms are tastefully decorated and well-equipped, with TVs, tea and coffee making facilities, radio alarm clocks and hairdryers. They are full of antique objects and furniture. The cosy, traditional English pub offers a range of real ales and a homely real fire. The award-winning restaurant has a Ã la carte menu that changes with the seasons; it serves traditional food with a modern twist. The George Hotel is only a 10-minute walk to the Lake and Derwentwater just a 5-minute walk away. Many activities are available in the area, such as golfing, horse-riding and cycling. Just 2 miles from Keswick, the Derwentwater Hotel is surrounded by the breathtaking scenery of the Lake District. All the rooms in this traditional Lakeland country house are en suite, some have lake views. Each of the rooms is individually furnished with its own unique charm. All rooms have an en suite bathroom and also offer TVs, free Wi-Fi and tea/coffee making facilities. The hotel's restaurant, Deer's Leap offers a superb choice of modern and traditional dishes. Enjoy a drink in the light, airy conservatory bar and savour the breathtaking views. Set in 18 acres of picturesque grounds The Derwentwater is nestled in the small village of Portinscale. Nearby Keswick offers plenty of shops, restaurants and country pubs. Keswick Lodge is located in the market town of Keswick, just 2 miles (3 km) from Derwentwater. This traditional pub offers home-cooked seasonal food, cask ales and cosy en suite accommodation. The Lodge has rooms with power showers, some have baths. Each room has an LCD flat-screen TV, tea/coffee making facilities and free Wi-Fi. The menu features freshly prepared dishes, made with local produce and seasonal ingredients from Cumbria. The bar stocks real ales from the Thwaites Brewery. With stunning views of the surrounding hills, this former 18th-century coaching inn is close to the town centre. Keswick Lodge is a perfect base to explore the Lake District. The wholesome, fresh breakfasts gained a Highly Commended accolade in Britain's Best Pub Cooked Breakfast 2009. Set in 5 acres of woodland gardens, The Mary Mount Hotel is set on the shores of Derwentwater. With countryside views, rooms are en suite. There is also a restaurant. 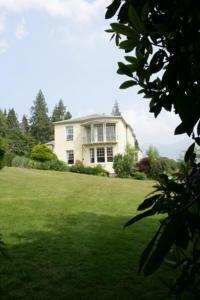 With the picturesque Borrowdale Valley all around, the Mary Mount has a peaceful country house atmosphere. Rooms have TVs and tea/coffee making facilities. The hotel's oak-panelled bar has a real open fire whilst the restaurant has large picture windows with spectacular views across the Lake. There is an Ã la carte menu and a regional wine list. Take a boat trip across the Lake or visit Keswick, which is only 3 miles away. The Mary Mount can provide you with quality packed lunches for your excursions. Free parking is available. In acres of lawns and flower gardens, Keswick Hotel has free parking and is a short walk from the centre of Keswick. The restaurant has garden views and traditional food. Each spacious room has a TV, tea/coffee facilities and biscuits. Many rooms at Keswick country hotel have views of the Lake District fells. The Lonsdale Restaurant uses local produce, and the Keswick Lounge has a fireplace. There is free Wi-Fi, a cosy bar, and afternoon tea is available in the conservatory. Some rooms are in the old Keswick Rail Station building, and can be accessed by the original station platform. The beautiful gardens at Hotel Keswick have walkways and guests can play croquet on the lawns. In the centre of Keswick, Skiddaw Hotel offers good food, and spacious rooms with satellite TV and tea/coffee facilities. There is free Wi-Fi, and free parking next to the hotel. The 31 Square restaurant serves menus of local produce, while the lounge bar offers drinks and afternoon tea. A full Cumbrian or continental breakfast is provided. Surrounded by the picturesque lakes and mountains of the Lake District, Hotel Skiddaw is a short walk from Keswick's shops and cafÃ¨s. Derwent Water is less than a 5-minute drive away. Guests of The Skiddaw have free use of nearby leisure facilities, including an indoor and outdoor pool, tennis courts, a sauna and a jacuzzi. Discounted vouchers for local attractions are available from reception. In the Lake District National Park, Queens Hotel has a central location by Keswick's market square. The hotel offers good food, traditional rooms and free Wi-Fi. On the edge of Derwent Water, the Queens is just a short walk from the shops, pubs and restaurants of Keswick town centre. A full Cumbrian breakfast is served each morning. The Queens Head bar has a plasma-screen TV, and serves bar meals and real ales. The public bar overlooks the marketplace, and features a real log fire. Some of the bedrooms at the family-run Queens Hotel have views of the Lakeland Fells, Skiddaw and Borrowdale. Each en suite room has a TV and tea/coffee facilities. On Keswick's main street, 10 minutes' walk from Derwent Water the Kings Arms Hotel offers easy access to the Lake District. The en suite rooms have classic decor and TVs. The Loose Box Pizzeria serves pizza, pasta and steaks from the converted stables while the Courtyard Restaurant serves traditional British dishes. Outdoor dining is possible and a full Cumbrian breakfast is available. The Lounge Bar serves light meals, snacks and real ales. Casa's Bar shows all major sporting events live on TV and offers a wide range of shooters and cocktails. Guests have free use of the leisure centre next door to the Kings Arms which include 2 swimming pools, a sauna, gym, beauty salon and tennis court. The Kings Arms is just 5 minutes' walk from the Cumberland Pencil Museum and Cars of the Stars. A 20-minute drive will get you to Grasmere, Cockermouth, Thirlmere or Ullswater. Highfield Hotel & Restaurant is in Keswick, Highfield has a multi-award-winning restaurant, magnificent lake and mountain views and its own private car park. The beautiful rooms have en suite bathrooms, tea/coffee making facilities and DVD players. The menu at the Highfield Hotel & Restaurant, which includes local produce, changes daily. The views from the restaurant are so good it was once listed in The Times' Top 10 Most Scenic Restaurants. Highfield Hotel & Restaurant is in Keswick, in a quiet location amongst other hotels and homes. Keswick town centre is just a few minutes' walk away, where guests can find the popular Theatre by the Lake. There is a daily coach service to Keswick and the hotel is just a few minutes' walk from the local bus station. The nearest railway station is Penrith, 16 miles away. Just 2 miles from Keswick, The Coledale is a 19th-century country inn with 2 traditional bars and elegant rooms. In a peaceful hillside location, the Inn has ample free parking. Located in both the Georgian and Victorian parts of the hotel, all of the en suite rooms at The Coledale Inn have tea/coffee facilities and TVs. A full English breakfast is provided Both the Victorian Bar and the Georgian Bar have a fine selection of traditional and local ales. Situated above Braithwaite Village, The Coledale is 20 miles from junction 40 of the M6. Family run Guesthouse with all en-suite rooms between Keswick and Cockermouth at the head of Lake Bassenthwaite.